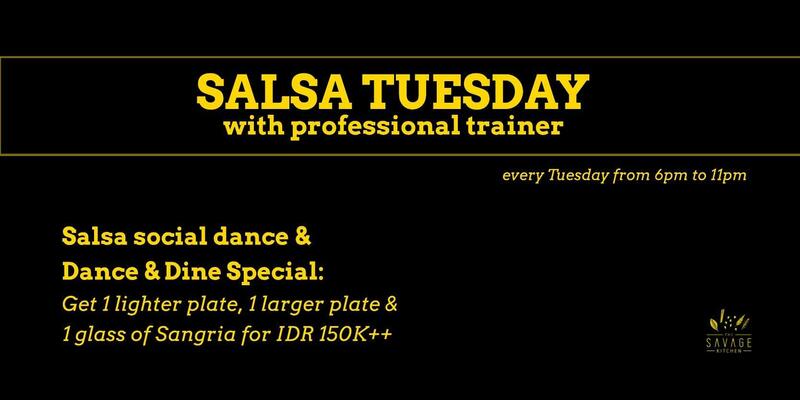 Tuesday is Salsa night at Savage! We´re starting a new regular series and are having a party for the first happening! A professional Salsa couple is teaching you & hot Salsa rhythms and a Dance & Dinner special are awaiting you! See everyone at Salsa Tuesday!